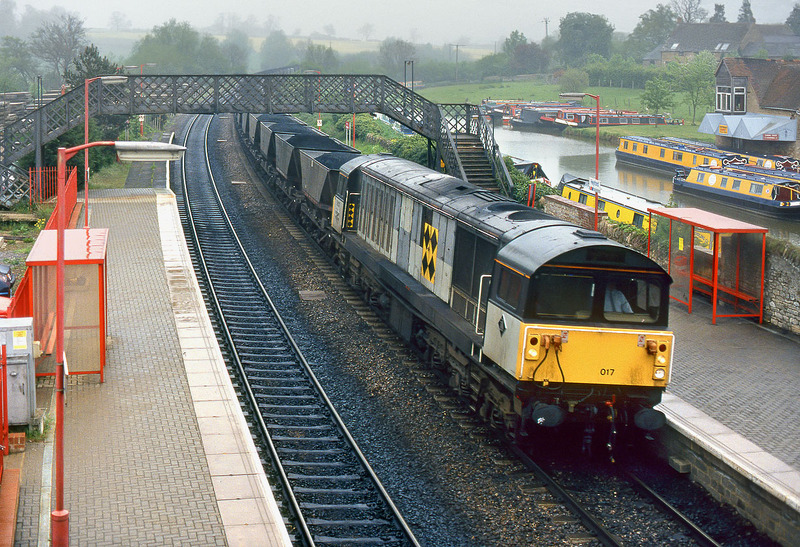 58017 passes through Heyford station on the misty morning of 17 May 1991 with the 7V49 05:20 Barrow Hill to Didcot Power Station MGR. The station's distinctive station building had been removed a few years previously, but at least the GWR footbridge was still in place. That too was eventually replaced by something much less attractive.